Here are the Top Must-See Haunts in Nebraska. In the summer of 2018, fans like you had the chance to vote for their favorite Halloween haunted attractions. We’ve tallied the results and created a list of the Top Must-See Haunts in Nebraska. For a full list of every haunt in Nebraska, visit our Nebraska Haunted House Directory. The 2018 season for Camp Fear will begin on September 14th! They are bringing two new attractions for this season; Nyctophobia and Insinister. 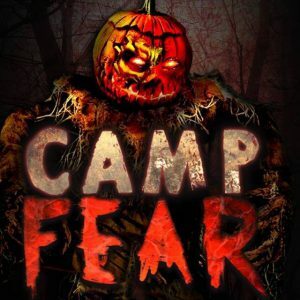 As their name implies, Camp Fear also offers one-of-a-kind overnight camping! Scary Acres is said to be “the home of Omaha’s 3 greatest haunted attractions.” They offer Masters Castle, House on the Hill and the Haunted Woods. Roca Scary Farm has an all-new Haunted Hay Ride, Psycho Path – Deadwood, Haunted Manor and a terrifying Sinister Circus waiting for you for the 2018 haunting season! They also have many other daytime activities including Operation Zombie Hunt! 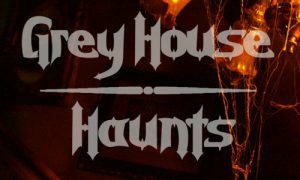 Are you ready to meet Dr. Grey and all of his creations at Grey House Haunts? His dark and twisted world will be a journey to remember! Kneeknocker Woods is located in rural Nebraska and takes place along an old, wooded river. Upon following the path, you will stroll through an abandoned, zomie-infested community, a graveyard and more!